I bet you wonder how the janitors at businesses keep those floors so clean. They probably have access to premium cleaning products, right? Well, you've probably seen those gigantic cleaners that some cleaning professionals can ride when they have an especially big area like a mall or a community college campus to keep clean, but that doesn't mean you have to be jealous. You can just use some of the same tricks that they use to figure out the best way to clean floors. Anytime you hear the intercom blaring, “Cleanup in Aisle Four,” you know that a customer probably got careless and spilled her Starbucks coffee on all the Kleenex boxes. The cleaning staff wants to get that cleaned up right away so it doesn't have the chance to create a coffee-colored stain on the shelves and the floor. You should do the same if you spill any liquid because it can not only stain, but also seep into cracks, crevices and pores in your floor. 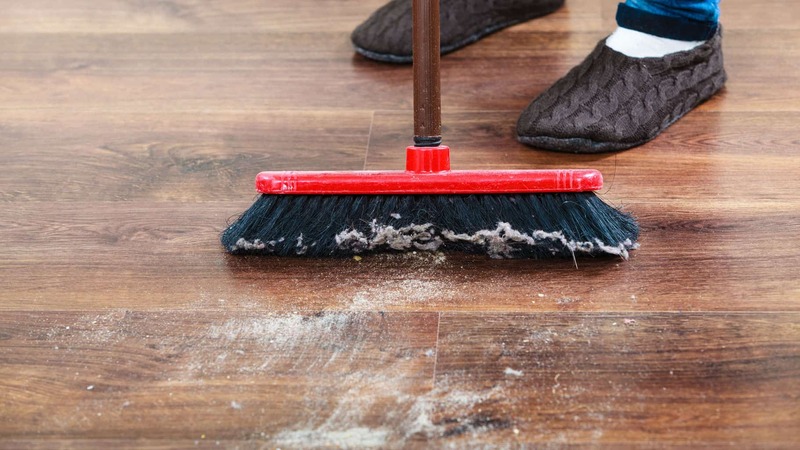 Spills that aren't cleaned up right away can contribute to warping in laminate or hardwood floors, mold growths, and bacterial deposits that can actually harm your family's health. Sweeping can pick up crumbs, hair, fur and loose dirt and dust to make mopping easier. Hair and fur can be especially hard to pick up with a mop, but the sweeper will usually get it. That way, you feel like you've left less of a mess behind after you've mopped. Most types of flooring are made out of organic material that can be damaged by exposure to moisture. 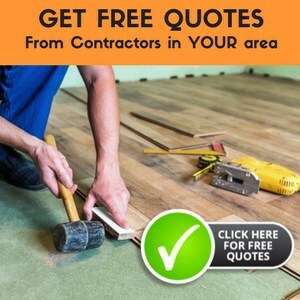 Even if you have an inorganic flooring like ceramic tile, you should make sure you dry up liquids on the floor right away so it doesn't have a chance to seep into any cracks and crevices on your floor and possibly contribute to bacteria and mold growths. When you mop, squeeze out the mop as much as possible and try to dry up any water on the floor when you mop. Most sponges will accumulate dirt on their surface and redistribute that into cracks and crevices in your floor. This is especially a concern if you have a tile floor because it can be tough to get dirt out of irregularities in the grout once it's been worked in. Rags don't have this weakness because they're easier to just throw in the washing machine when you're done. 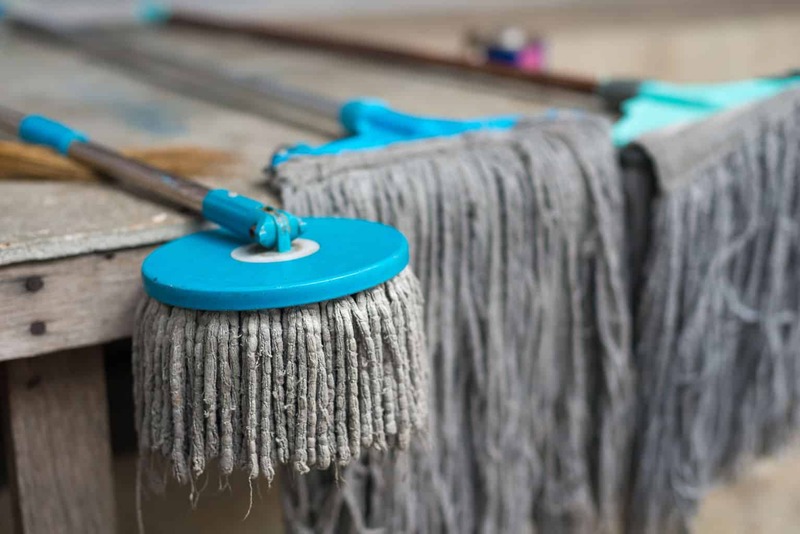 We prefer actual mops because we don't have to get on our hands and knees to mop the floor or even get our hands into that soapy water very much. That way, we can take it easy on our joints while still keeping the house clean. Some proponents of natural cleaners will suggest using freshly brewed tea to clean a hardwood floor because it's less hard on the floor than some brand name cleaners. 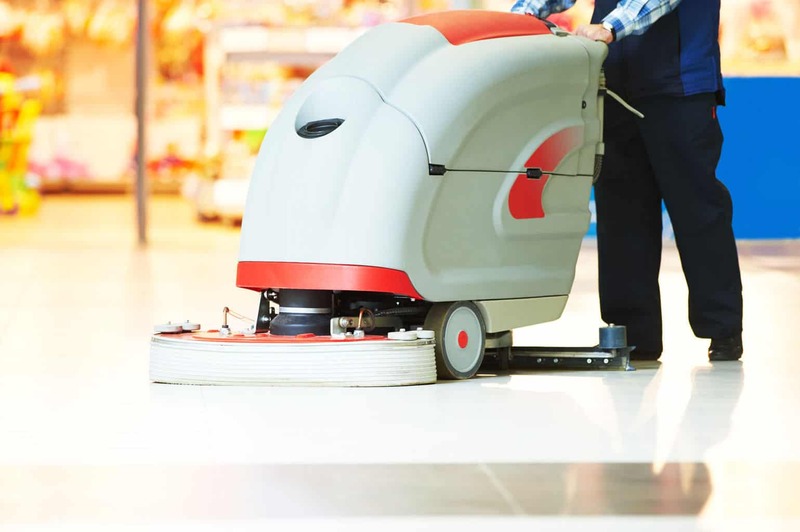 Many commercial cleaners contain toxic chemicals and an acidic pH factor that can eat away at organic flooring and do damage to your hands. Look for cleaners that are non-toxic and not acidic because they're usually as good as many of the big-name commercial brands that can damage your floor. A lot of people miss the edges of the room when they sweep and mop. The corners can especially become a place where dirt and grime accumulate because they get missed while mopping. I like to advertise the Scooba as a way to lightly go over uncarpeted floors that aren't very dirty because it doesn't use as much water as a mop and bucket. The Roomba and Scooba can usually get to places where a cat or small dog might hide, reducing possible exposure to allergens. When you just plain don't have time to mop, you can set the Scooba on a timer and then let it run when you aren't home. Then you can just worry about giving the floor a more thorough cleaning when you can slow down and make the time. We understand that you might even be otherwise occupied and don't always have time to make your house look like a showroom at one of those furniture stores. It's even perfectly acceptable to hire the professional cleaning services every once in a while, when you're pressed for time and need to get ready to host that party over the weekend. 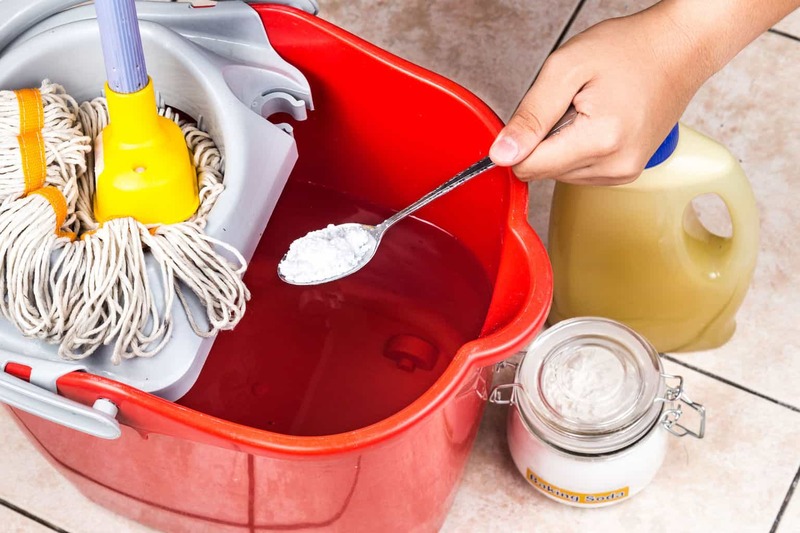 During those times when that's not a feasible option, you can still figure out the best way to mop floors in a way that won't damage your floor, your hands, or your knees. Need A Hand With Your Project?